Come and say hello and see what we can bring to your project. Minimal web design and online registration form. We're proud to announce that we worked on SNAP festival website 2018. Simple, light and clean web design allows the videos and photos to be the center of attention. Let‘s not forget SNAP‘s online event registration form which is as easy as 1-2-3. A responsive long-scrolling website customised to client‘s specifications. This tennis school website has modern designs and features. A customized website for home design business, a product created exceptionally for our Sweden clients. The website works and looks great on both desktop and mobile devices. This website and form are designed for restaurant industry professionals. Visitors can easily find essential information about the restaurant, it's menu and even make online reservation. 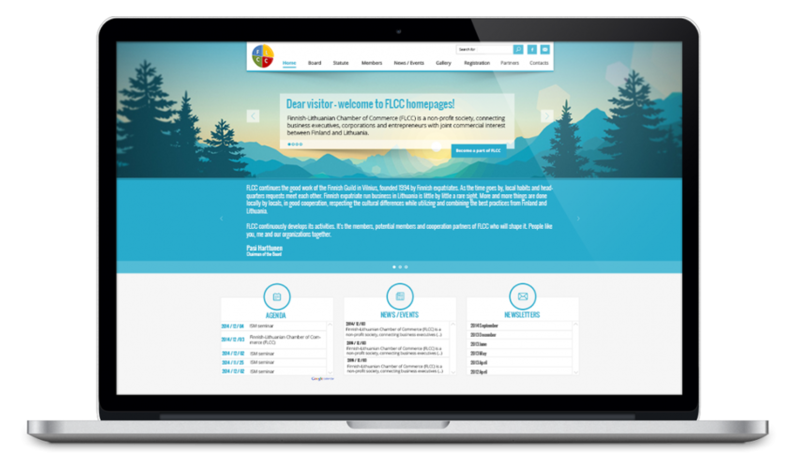 A website for Finnish-Lithuanian Chamber of Commerce - a non-profit society, connecting business executives, corporations and entrepreneurs with joint commercial interest between Finland and Lithuania. Our task was to create a website with news and events feed. The responsive website contains news, tennis schedule and booking. There are integrations with Paysera.